This new souvenir sheet is guaranteed to delight! 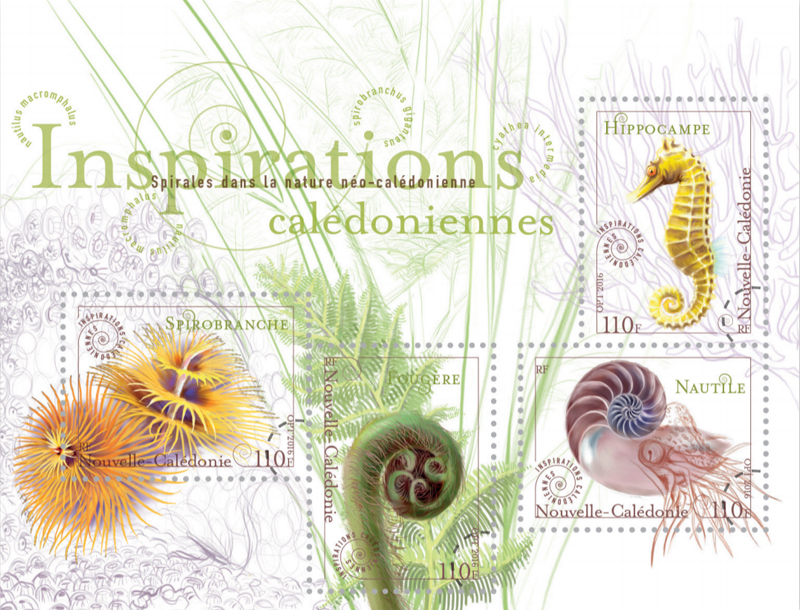 Entitled “New Caledonian inspirations”, the concept and design of the new souvenir sheet is the work of Sylvie Patte and Tanguy Basset, two young French graphic designers who were also the creative team behind the French Post Office stamp booklet “Dynamiques”. 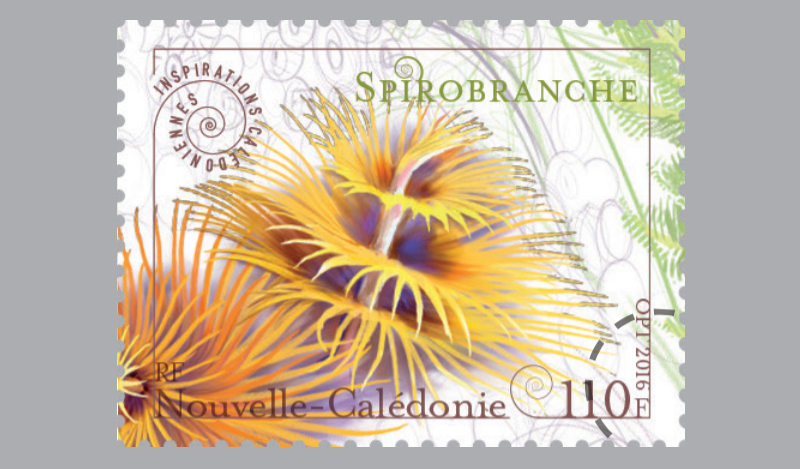 The chosen theme is “Spirals in the New Caledonian natural world” and the souvenir sheet comprises four 110 XPF stamps illustrating respectively a Christmas tree worm (Spirobranchus giganteus), a tree fern (Cyathea intermedia), a seahorse (Hyppocampus kuda) and a nautilus (Nautilus macromphalus). 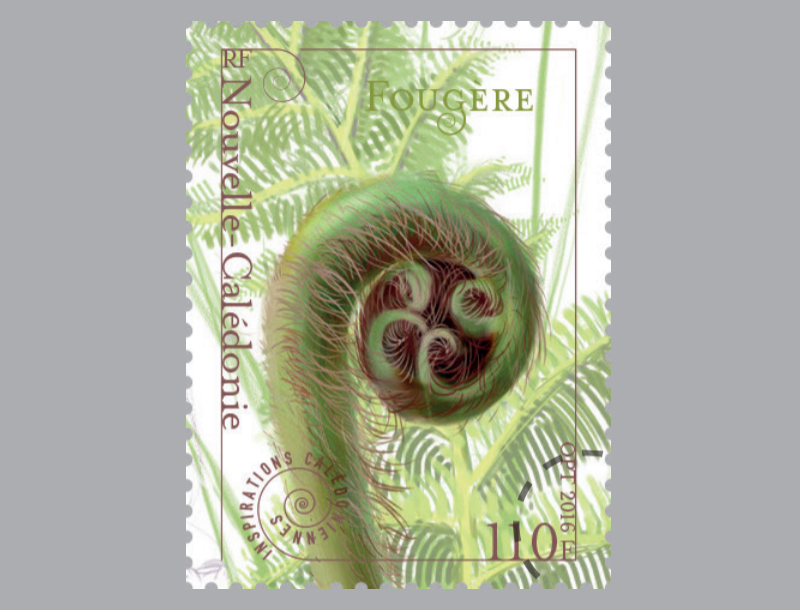 Cyathea intermedia is endemic to New Caledonia and also one of the world’s tallest tree ferns. 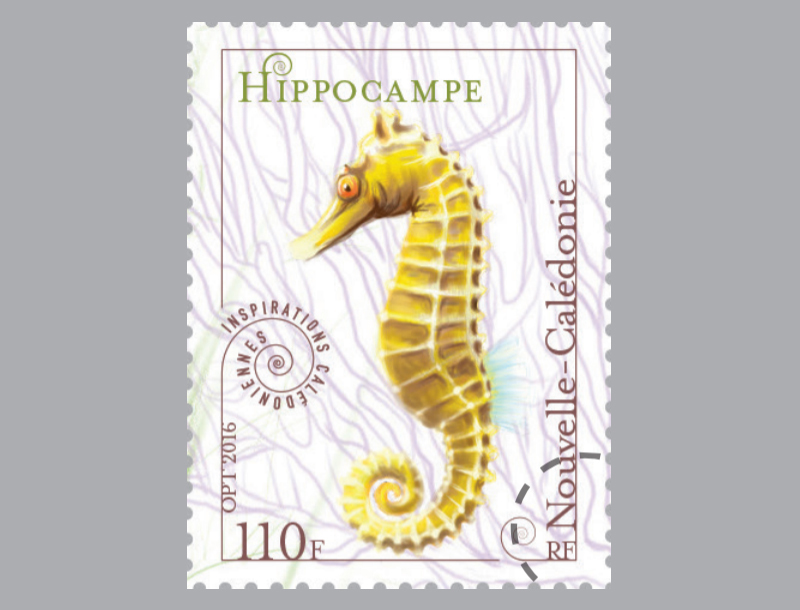 It grows in acidic soils, at forest fringes or in clearings and can reach a height of 30 m high, with fronds measuring up to 4 m.
Hippocampus kuda, also known as the yellow seahorse or spotted seahorse, can reach a length of 17–30 cm and inhabits tropical and subtropical waters, where it can be found both in benthic habitats and open pelagic waters. 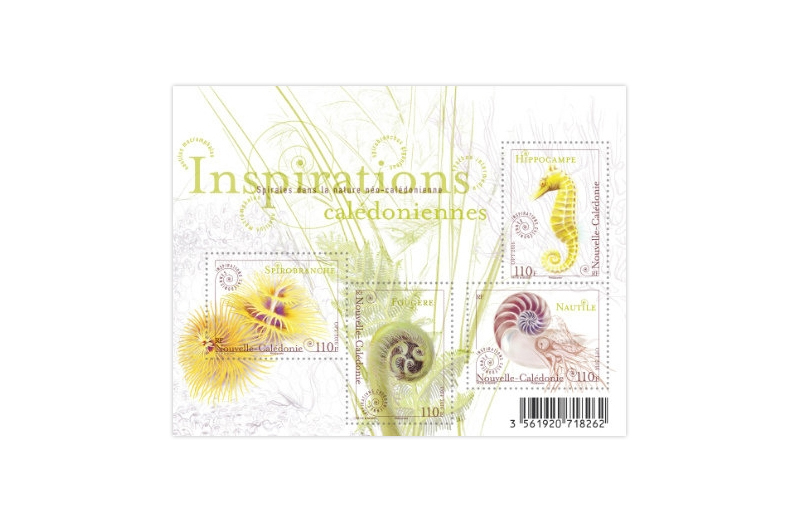 This seahorse species is a master of camouflage and changes colour to blend in with its habitat, adopting hues of yellow, white, brown, red, black or grey. 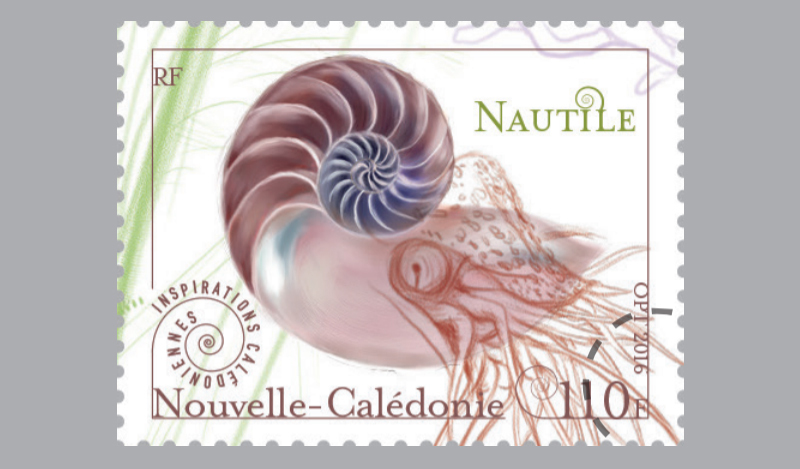 There is no need to introduce Nautilus macromphalus: New Caledonia's emblematic nautilus is a living fossil found at a depth of 200 to 600 m. Nautiluses inhabit a coiled, chambered shell reaching a diameter of around 20 centimetres – a perfect natural logarithmic spiral – which enables them to float.